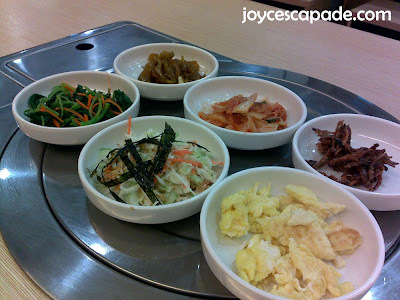 My first visit to Kimchi Korean Restaurant @ Tropicana City Mall was about almost a year ago. 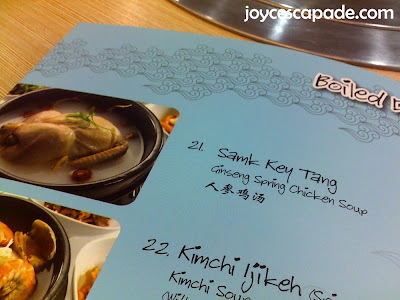 So, my sister and I decided to pay this restaurant a visit again on Friday before we went for our movie. Address: L1-57, 1st Floor, next to Otak-Otak Place. 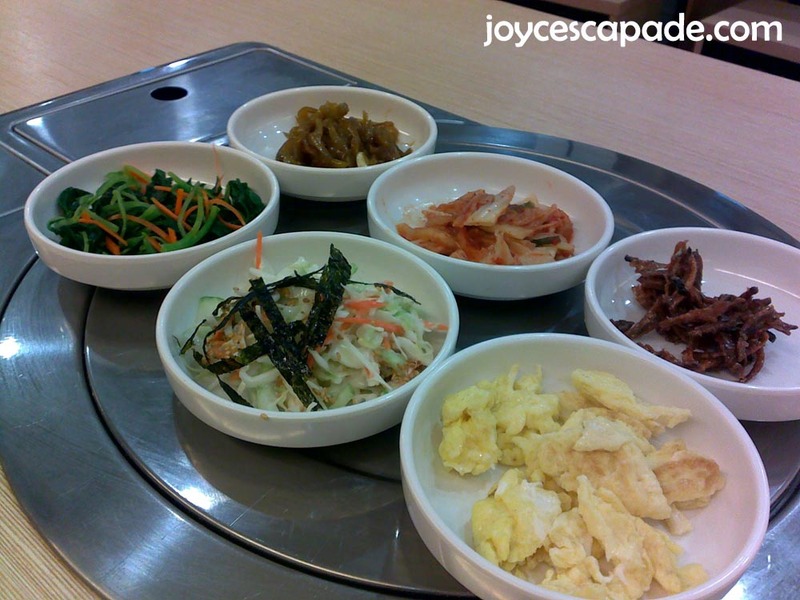 First round of side dishes. 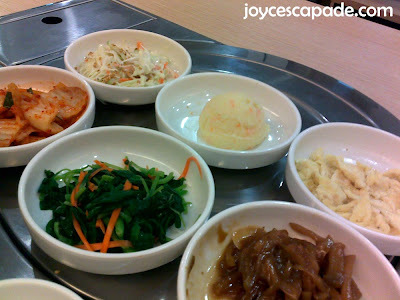 Well, be prepared to be served with Malaysia-nized Korean side dishes. Don't expect authentic Korean flavor. These side dishes are refillable without extra charges. Here's second round - all dishes were the same except for the mashed potatoes (substituting fried anchovies in the first round). 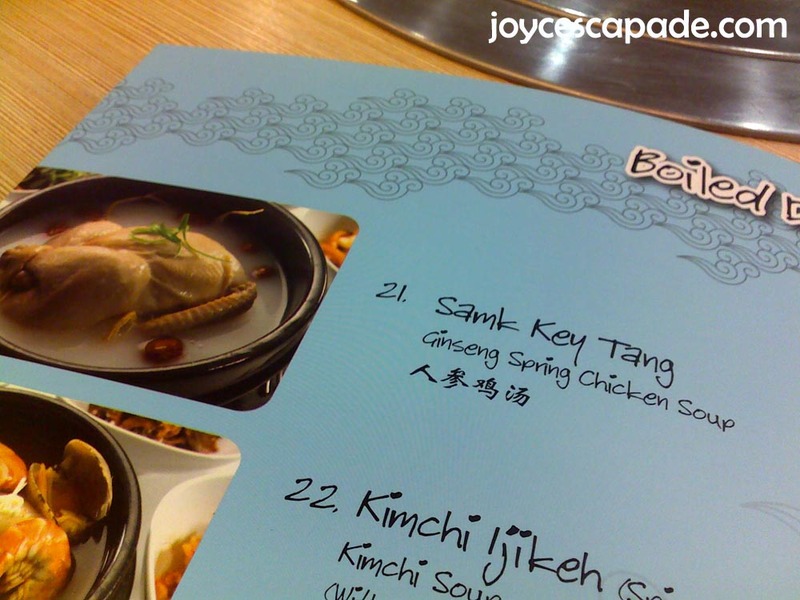 For our main course, we shared a small pot of Samk Key Tang (Ginseng Spring Chicken Soup). Just in case the soup may not be very filling for us, we also ordered a small portion of Korean Noodles sprinkled with brown sesame seeds. 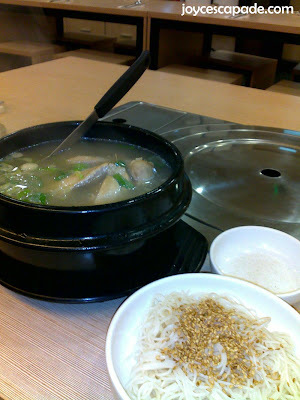 Korean Samk Key Tang is a special type of chicken soup. 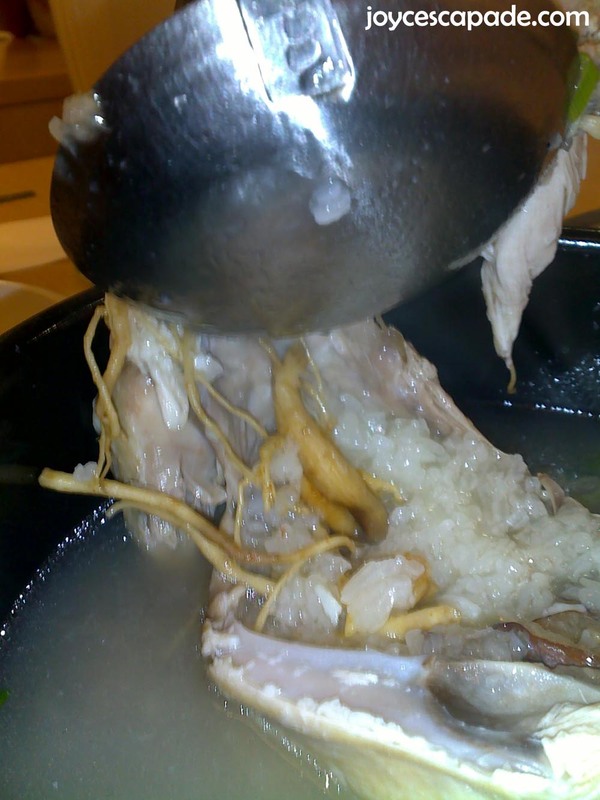 I found a good explanation from Wikipedia: Samgyetang is a Korean chicken soup with Korean ginseng, dried jujube fruits, garlic, ginger, glutinous rice, and sometimes other medicinal herbs. It is held to be not only a cure for physical ailments but a preventer of sickness.